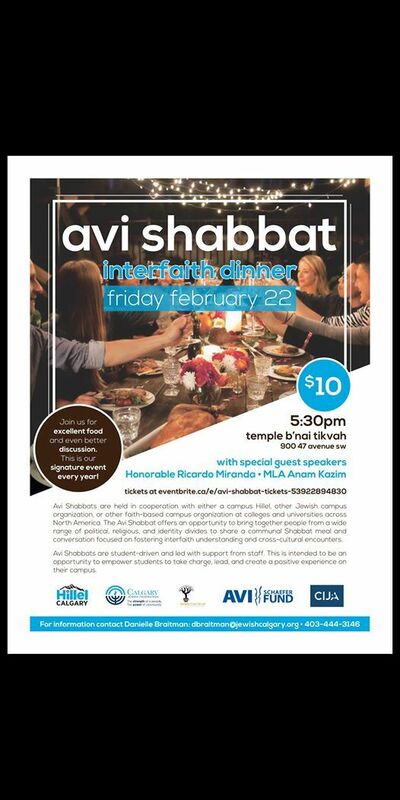 Avi Shabbat returns to Temple B'nai Tikvah on February 22! 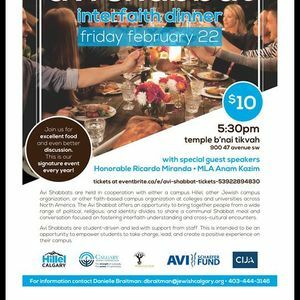 With opening remarks by MLA Anam Kazim and the Honourable Ricardo Miranda, followed by a kosher/halal vegetarian meal and stimulating conversation, this is not an event to be missed! Open to all cultural, religious, and political groups, this CIJA funded event helps bridge our cultural divides and foster interfaith understanding.